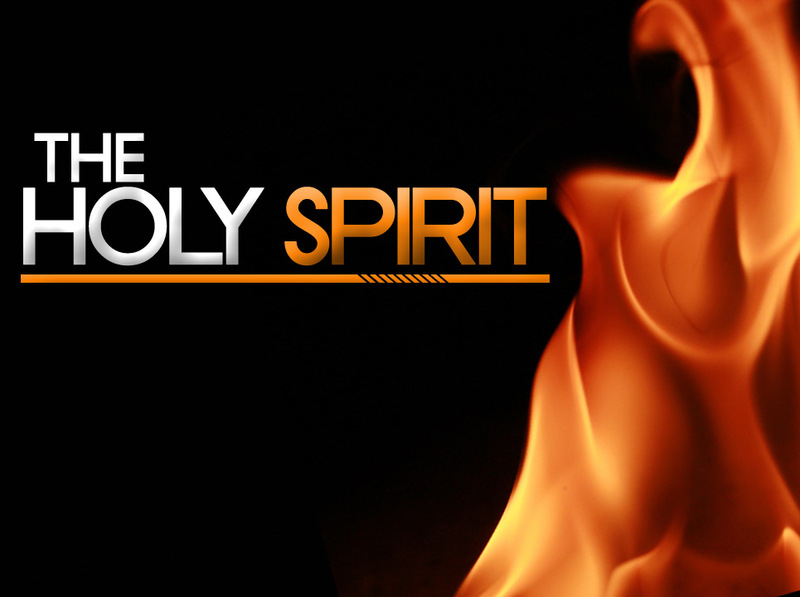 This is the second of two posts, following up our Deeper event on the Holy Spirit. In the previous post I gave some answers to five questions that we were not able to address in the Q&A time. Here now are some answers to five more. Also, I am again including the video of the event. If you didn't attend, watching it will give you some context (and also will hopefully be an enjoyable experience). Deeper #4 from Life Bible Fellowship Church on Vimeo. 1. If Jesus was 100% God, then why did he need the Holy Spirit to empower him? During the Deeper event, we talked about the fact that the Holy Spirit empowered Jesus throughout his life. In Matthew 3:16 the Spirit descends on Jesus as a dove. In Luke 4:17-21 Jesus says that the Spirit of God has anointed him to proclaim the good news of God to the broken and needy. John 3:34-35 says of Jesus, "For the one whom God has sent speaks the words of God, for God gives the Spirit without limit." Jesus himself credited the Holy Spirit with the miracles that he did (Matthew 12:28). The Spirit clearly empowered Jesus during his life. But why would Jesus, the eternal Son of God, need the Holy Spirit. The answer is both simple and complex. He needed the Spirit because he was human. That is simple enough. When Jesus took on humanity, he became like us in each way (Hebrews 2:14-18). As a man he became utterly dependent on the Holy Spirit for the fulfillment of his calling. Many of us, however, want to cry out, "But he was God! Why would God need God?!" This just reflects the mystery and the wonder of the incarnation of Jesus. He didn't simply look like a human being. He WAS a human being. He took on full humanity. He modeled for us the Spirit-led life. And, food for thought, if the Son of God was dependent on the Spirit in order to fulfill his calling, how much more should we cry out in dependence on the Spirit for what God has called us to do! 2. What is the baptism of the Holy Spirit? We need to think of the baptism of the Holy Spirit in two senses. (1) There was an event in which the Spirit baptized the church. (2) Anyone who comes to Christ is individually baptized by the Holy Spirit. 2 the baptism of the Holy Spirit takes place on a macro-level. He comes upon believers and they are miraculously empowered and transformed. This is the event to which Jesus pointed when he said in Acts 1:5, "For John baptized with water, but in a few days you will be baptized with the Holy Spirit." Jesus also seems to prefigure this event in John 20:22: "And with that he breathed on them and said, 'Receive the Holy Spirit.'" 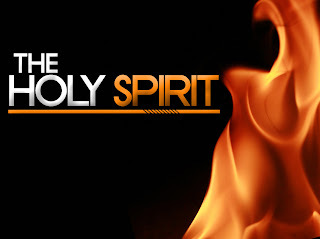 The Spirit, at Pentecost, came upon believers in order to indwell them forever. (2) Many people came to Christ after Pentecost, but they did not miss out on the baptism of the Holy Spirit. They missed the event of the Spirit's coming in power, but upon their conversion the Spirit came upon each of them. We see this happen from time to time in the book of Acts (8:15, 10:44, 19:5-6). And throughout the New Testament we are told that the Spirit indwells all believers. This brings us to a point of definition. What exactly is the baptism of the Holy Spirit? In short, it refers to when the Spirit comes to indwell a believer, making them new and sealing their adoption into the family of God. At this point the believer is given spiritual gifts and empowered for boldness and godly living. Some Christians believe that there is a "second blessing" related to the baptism of the Holy Spirit. In short, they believe that a person becomes a believer and receives the Holy Spirit, but then later on the Holy Spirit comes upon them in power and seals their conversion. He gives them powerful spiritual gifts or brings dramatic change. This just doesn't seem to be something that Scripture supports. Certainly we do see plenty of cases when someone will have a post-conversion event that brings dramatic change into their lives, but we do not receive the Spirit in parts. Upon salvation, we receive him in full. We then live lives that are fully reliant on him, not waiting for him to come in a greater way in the future. While I want to be respectful to other Christians who believe in the second blessing, I also want to give a warning. Those who embrace the idea of a second blessing sometimes also embrace the idea that the Spirit's presence in believers' lives is always accompanied by sign gifts, such as speaking in tongues. This is simply unbiblical. Not all believers have the gift of tongues. No believer has every spiritual gift. God does as he pleases in this area. We must not fall into the trap of looking to a specific gift of the Spirit in order to validate his presence. The greatest sign of the Spirit's presence if the fruit he brings (Galatians 5:22-23, Ephesians 5:1-21), not miraculous gifts. 3. What is blasphemy of the Holy Spirit? In Matthew 12, Jesus speaks of the blasphemy of the Holy Spirit and says that it is the sin that will not be forgiven in this age, or in the age to come. Some people have said that this sin is suicide. Others have said that it is simply rejecting Christ. What is the sin and can it be committed today? For starters, blasphemy of the Holy Spirit is not suicide. Suicide is nowhere in the context when Jesus speaks of the unpardonable sin. Suicide is certainly wrong. It is a selfish decision driven by despair. When someone who seems to be a Christian commits suicide, it shakes us. But it would not be right to conclude that a person who commits suicide "loses" their salvation. It may make us question what was going on in their heart, but it is a never identified as an unpardonable sin. In the context of Matthew 12 (as well as Mark 3 and Luke 11) Jesus is speaking to Pharisees who accuse Jesus of casting out demons in the name of Satan. When they make this accusation, Jesus says that they have blasphemed the Holy Spirit. Why? Because they saw the work of the Holy Spirit through him, and they identified it as satanic. But why would this sin be unpardonable? Probably because it was the point of no return. If they were going to come face to face with the work of the Holy Spirit and reject it as satanic, they were too far gone to return. It seems unlikely that Jesus was saying that if they repent and cry out for forgiveness, it will never be given. But are we in danger of committing the unpardonable sin today? In one sense, probably not. Jesus seems to speak of it as something specific to his time, when people saw the Son of God doing the works of the Spirit. In another sense, though, there is a valid warning for us. The Pharisees were filled with competitive jealousy for Jesus, and so they called his works satanic. Likewise, Christians can be filled with jealousy against other "successful" Christians and ascribe their success to Satan. May we all be wary of putting ourselves in a position where we could be attributing the work of the Spirit to Satan. None of us want to go down that road. 4. When Jesus was on the cross, crying out, "My God, My God, why have you forsaken me? ", did the Holy Spirit leave him? This is a tricky one. I think we need to plead ignorance on a large part of what was going on during this time. When we read this, many of us conclude that the Father turned his face away from Jesus. While this may be the case, Scripture does not say this. Many of us might conclude that the Spirit departed from Jesus. Again, Scripture does not say this. So, what was going on and why did Jesus say this? Let's start with what we do know. While the cross and atonement are always debated, Scripture teaches that Jesus bore the wrath of God on the cross. He was punished for the sins of humanity. 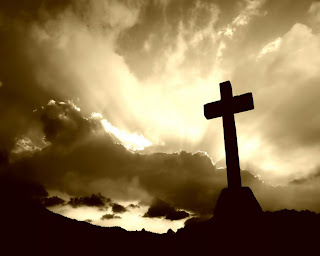 Does this mean that during those hours on the cross the Father and the Spirit turned away from Jesus? While this is possible, this is never explicitly said. When Jesus cries out, "My God, my God, why have you forsaken me?" he is quoting David from Psalm 22. In Psalm 22 David cries out to God in a time of great danger. He cries out that God has forsaken him, but it doesn't seem appropriate to conclude that, when David cried that, the Father had turned his face away from him and the Spirit had departed from him. David was simply looking at the horror of his situation--enemies closing in on him, friends abandoning him, physical pain imminent--and he wondered where God was. When Jesus was on the cross, his enemies had closed in on him, his friends had abandoned him, and he was experiencing excruciating pain. By all accounts, God had forsaken him. Instead of rescuing his servant, he had given him over to his enemies. Just as every human being has experienced the pain and horror of abandonment, Jesus was truly abandoned on the cross. Again, this is tricky. I don't think we can be dogmatic that the Father turned his face away or that the Spirit left him. I think we can conclude that he bore the full weight of our sins, and that he experienced the full weight of being abandoned by everyone who could help him--including God himself. While we can't know everything that went on while Jesus was on the cross, we can be confident that he carried the weight of all our sins and all our fears. He finished the work that was necessary to bring us to God. He was abandoned so that we could be included in God's family. 5. Does the Holy Spirit convict unbelievers? The Spirit has always been at work. He indwells believers, but he is also at work in the world. In fact, he works to draw unbelievers to Jesus. When Jesus predicted the coming of the Spirit, he said, "When he comes, he will convict the world about sin and righteousness and judgment" (John 16:8). The Spirit not only teaches and comforts believers. He convicts the world. While he doesn't indwell unbelievers, he is at work glorifying Christ to all the world. So, if you are praying for someone who is an unbeliever, you can pray that the Spirit will convict him or her of sin and righteousness and judgment. You can pray that God will draw them to himself through his Spirit. While the Spirit dwells with believers in a special way, his work is much broader than us. I hope these answers have helped. Feel free to interact, ask follow-ups, disagree, and engage in any way. The Spirit is at work in and through us. He is more powerful, more comforting, and more present than we realize. The more we keep in step with him, the more we will experience the risen life that Jesus brings.